It bills itself as The largest grower-only Certified Farmers Market in Southern California and a favorite for local chefs. I have to concur, as a farmer’s market aficionado, I seek out fresh produce, flowers and other local products wherever I travel. 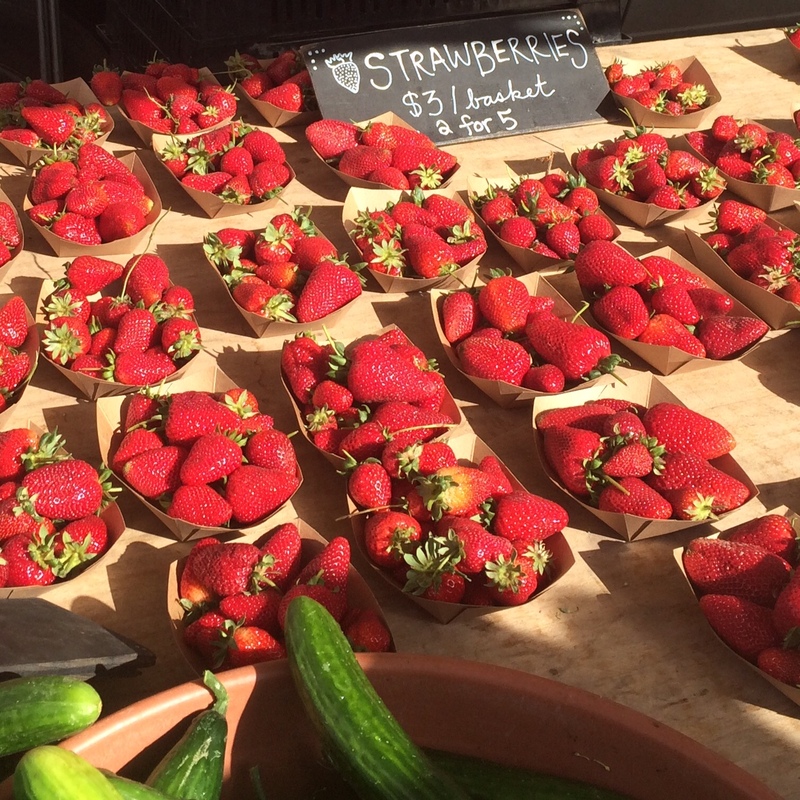 Some of the French markets in Provence dazzle the senses and our choices in NorCal aren’t too shabby, but when my sister suggested a walk— just a few blocks— to the local market I said sure. It was a sunny, not too hot, SoCal day. She now lives just a few blocks from the beach, having just moved from Brooklyn in January of this year. She is totally smitten with the weather, the access to the outdoors and of course the produce! I was floored by the robust and bustling market. I go every Saturday to my local Alemany Farmer’s Market and am a devotee of the not so chichi fare and multi-ethnic farmers and patrons. I thought my joy was—perhaps— because I was on vacation, but no, this market truly impressed in quality, quantity, variety and display. 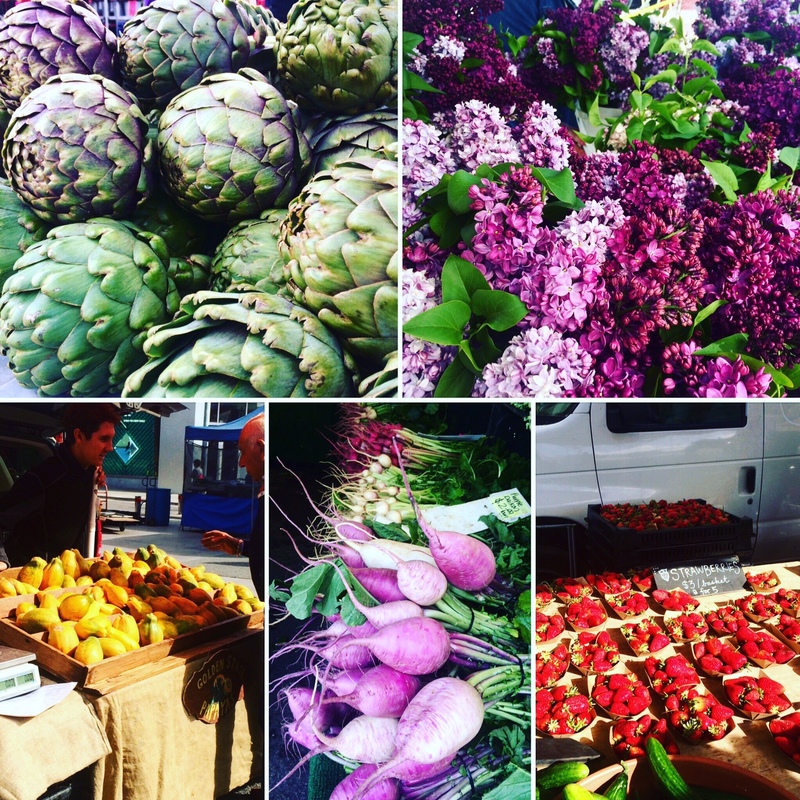 Established in 1981, open year round and located on Arizona Avenue, between 4th & Ocean in Santa Monica, the market is open Wednesdays 8:30am to 1:30pm and Saturdays 8:30am to 1pm. I went on a Wednesday and it was packed! Four blocks full, and as many as 75 farmers display their colorful fare. I could only buy a few things since my visit was short, but boy, was I tempted. From the luscious lilacs to the delectable strawberries, I was like a kid in a candy shop. The crowd was definitely very L.A. and there was a bit more show biz in the vibe, although it was later I ran into Sylvester Stallone in the bulk aisle at a food co-op and at LAX on my return home, I went through security with Don Cheadle, one of my favorite actors. We only spent two days in Los Angeles, as we were headed to Joshua Tree, but between bike rides along the beach to Venice, a trip to the La Brea Tar Pits and the Getty Museum, I have to say the half an hour at the farmers market was such thrill. 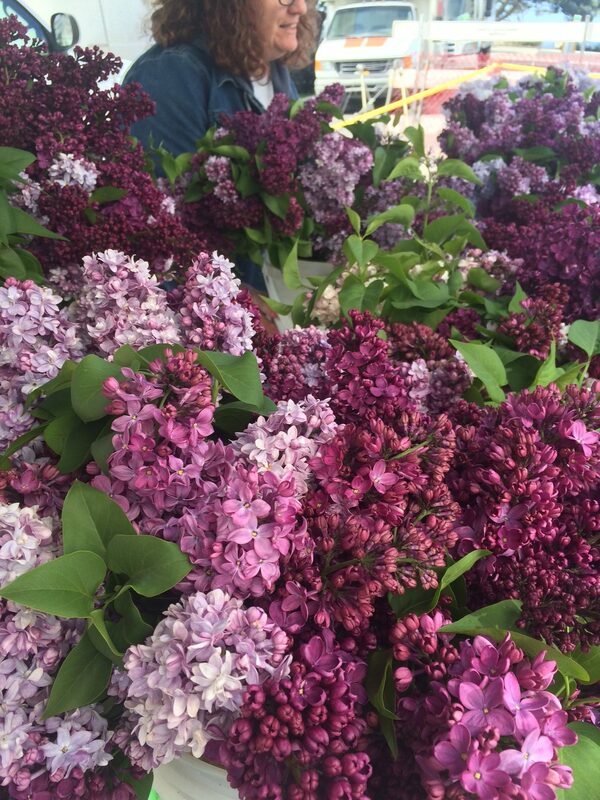 We bought bread, asparagus, berries and I was just SO tempted to buy some lilacs to remind me of my college years in Connecticut, but decided to settle for a few whiffs and some pics. Want to see more Farmer’s Market stories from Darya? Now go and get some fresh and local produce and send us a recipe and a picture!